With a Family Email Tarot Reading, Selena who can really understand what is going on for you; delivers practical, meaningful insight to improve your situation. A Family Reading is about situations with relatives and spouses. Questions for a Family Email Tarot Reading concern connections with relatives and spouses as well as household situations. For this reading, The Fairie Tarot is used, to highlight family dynamics with particular emphasis on the influence of emotions. When you have ordered your reading, you will be directed to a page where you can ask Selena your questions. 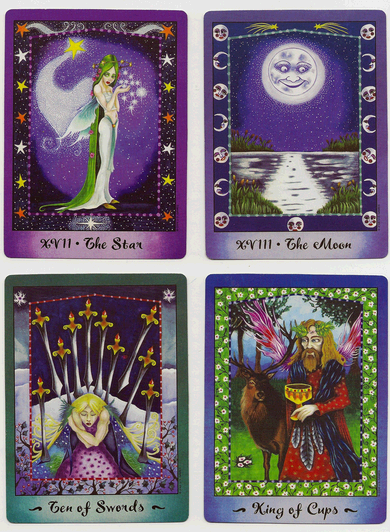 Your Family Email Tarot Reading will be ready within 3/4 working days. Disclaimer: Please note, tarot readings are for entertainment purposes only. Readings are not a substitute for professional care. Your reader is not liable for any direct, incidental, consequential, indirect, and/or punitive damages.